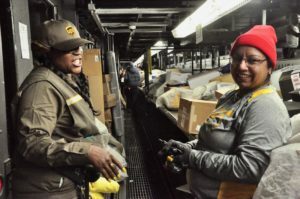 Our UPS Union brothers and sisters, a.k.a. Santa’s delivery crew, celebrate the holidays together in the final countdown of peak season, joined by President Alberto Ruiz. It takes more than a couple visits to see all our members at this facility! 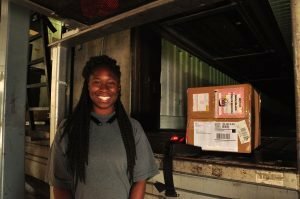 Thankful for Steward and Driver Trina Johnson who introduced herself to a lot of new and part-time pre-loaders. 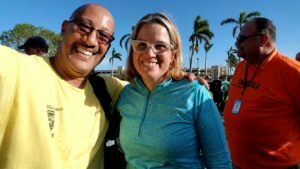 After settling back into the groove at UPS North Bay, local 315 member Tim Davenport reflects on his experiences volunteering in Puerto Rico, and the unyielding power of solidarity driven among people during devastation. Shout out to the Hub workers (those who work inside the facility) at UPS North Bay who help sort and prepare all packages for the drivers! 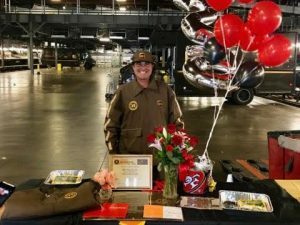 Our very own North Bay UPS Package Driver Mike Sluus celebrating 25 years of safe driving! Congratulations, Mike! 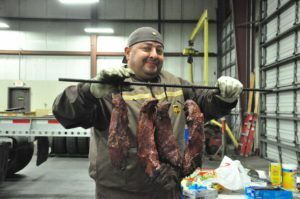 President Alberto Ruiz visits one of our largest barns, the UPS North Bay Facility in Richmond, CA.